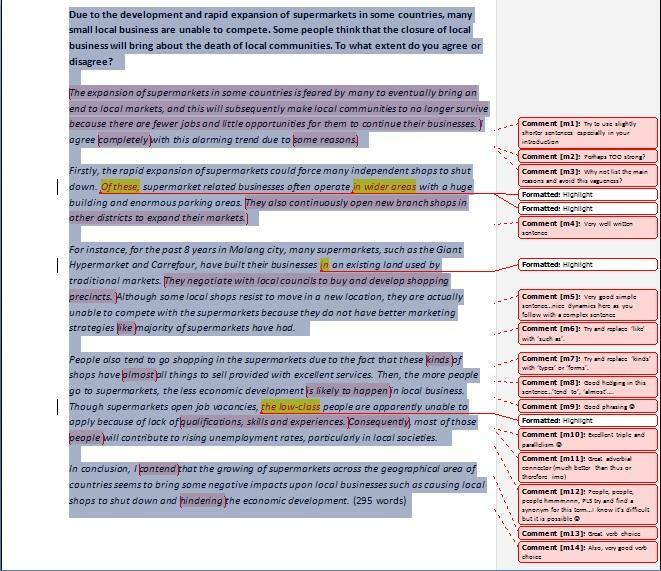 The following page presents a number of annotated samples of IELTS essays as well as IELTS speaking tests. Also, annotated passages from a range of academic essays and reports are presented. The benefit is for you to review the relevant samples, learn from them and then try to apply what you learn to your own work.